Do you have arthritis, chronic fatigue, poor memory, insomnia, anxiety, or recurrent colds? Are you unable to lose weight? If you have any of these symptoms, Leaky Gut Syndrome (LGS) may be to blame. LGS is responsible for 90% of all chronic symptoms. Our intestines are the barrier between the external world and our blood. Leaky Gut Syndrome (LGS) occurs when we constantly expose our intestines to a poor diet, infection, or certain medications. In LGS, the lining of the small intestines becomes inflamed and the spaces between the cells of the lining become larger. 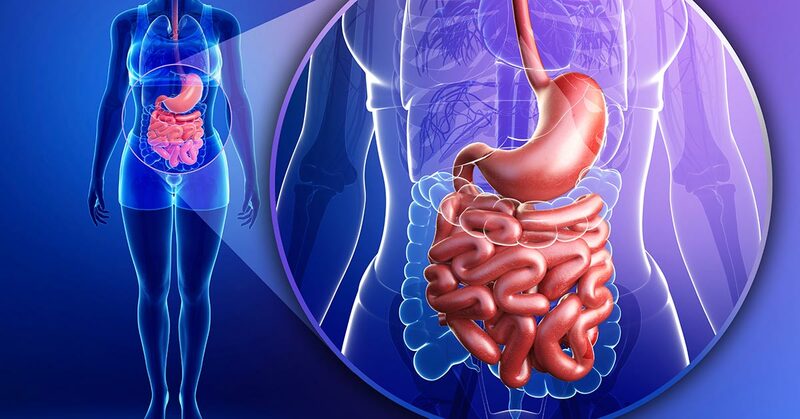 Our small intestines normally only allow very small digested particles to pass into our bloodstream, but in LGS other substances like undigested food, toxins, or even bacteria “leak” into our blood through the larger spaces between the cells. Because these larger particles are not normally in our bloodstream, our immune system perceives them as foreign and attacks them. The involvement of our immune system then causes a low-grade fever and gut pain. The liver also attempts to filter these foreign particles from the blood stream. However, if the liver’s capacity to clean our blood becomes overwhelmed, the body will move the foreign particles into the tissue. Over time, muscles and joints begin to ache, the mind becomes foggy, and energy decreases. This entire process can contribute to other health conditions as well such as asthma, eczema, migraines, fungal infections, fibromyalgia, and rheumatoid arthritis. Leaky Gut Syndrome is a common problem because our diets contain many foods that are considered inflammatory, such as grains (especially wheat), vegetable oils, soy products, and high glycemic foods. High glycemic foods are foods that are quickly digested and rapidly release glucose into the bloodstream (www.glycemicindex.com). LGS can also be caused by mercury in food or our environment, chronic use of alcohol or caffeine, chronic use of anti-inflammatory medications like aspirin or ibuprofen, and chronic use of proton pump inhibitor medications for acid reflux. Treatment for LGS involves identification of intestinal irritants and treatment of intestinal yeast overgrowth caused by a high-sugar diet. Inflammatory foods should be avoided or limited, and irritating medications should be minimized. If an intestinal yeast infection is present, it should be treated with a prescription antifungal medication and a yeast elimination diet (www.theyeastdiet.com). The intestines should be supplied with nutrients like L-Glutamine so the lining of the intestines may start to heal itself. FloraBalance Max is a probiotic that helps support the healthy bacteria that normally live in our intestines. These bacteria break down harmful waste products and help maintain normal immune response within the intestines. FloraBalance Max is available at Annie’s Apothecary or online at www.anniesrx.com Please feel free to stop by or call (830) 981-4774 for additional information.